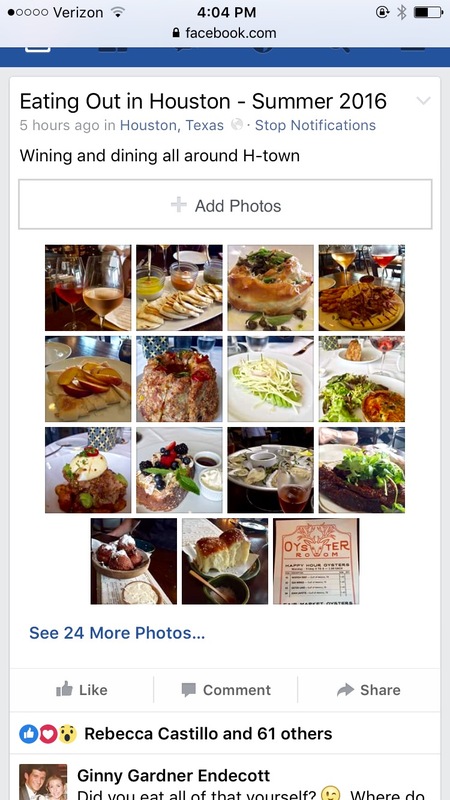 I went on a Grappa media tour in October. 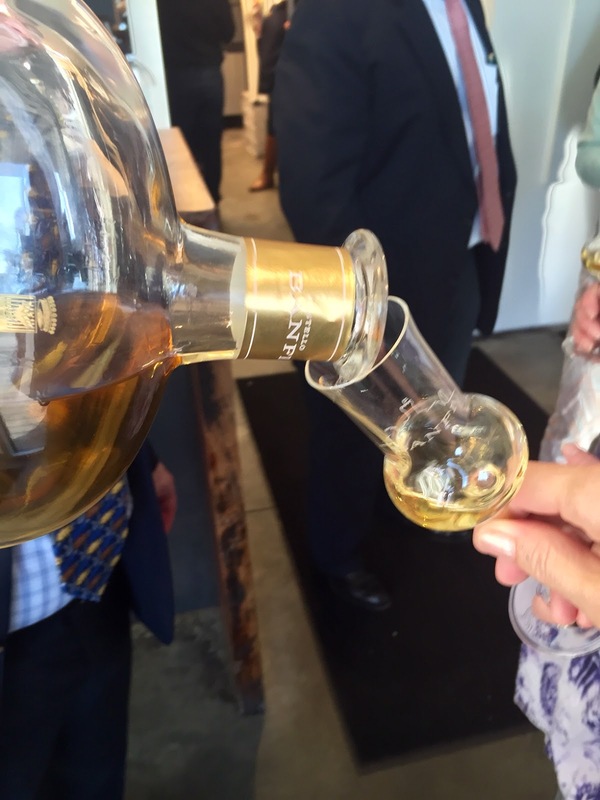 Before going, I really did not know much about Grappa, other than that it fell in the same category as Brandy. It had been briefly discussed years ago when I was taking wine certification classes though I don't remember actually tasting any at that time. Then, a few years ago, a wine producer brought some to Houston when they did an event and did I taste one at that time, I was surprised by it. It wasn't the "firewater" that I had expected, it was a far smoother drink and a nice way to end a heavy lunch. 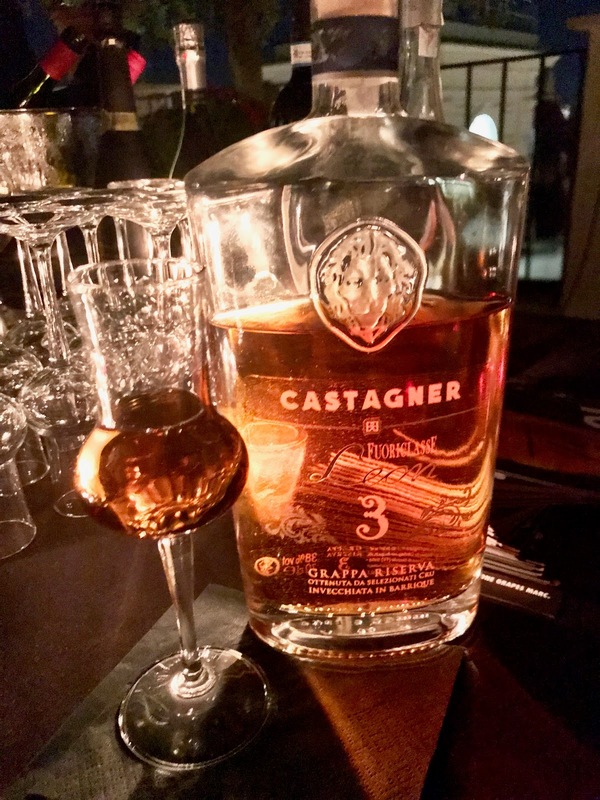 Unfortunately, in the Houston area at that time, I was not finding Grappa on the after dinner drinks list at my favorite restaurants so I was not able to explore it more. 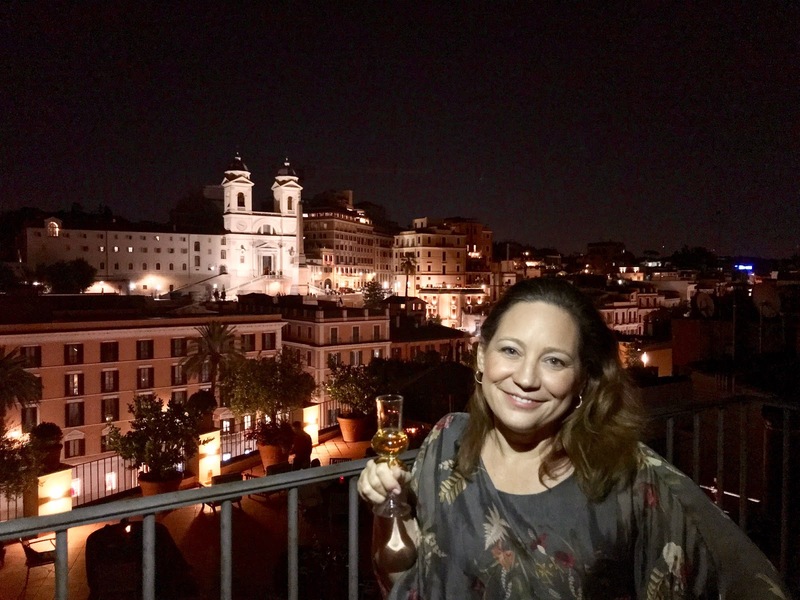 Almost 3 years after that positive experience, I found myself on a Grappa trail in Italy eager to learn more. The trip started with a rooftop party in Rome. Our group had the opportunity to meet some producers, taste an array of Grappa, and most importantly learn how the iconic spirit could be used in mixology to create a variety of cocktails. Grappa has traditionally been used in Italy as a digestivo. It is typically consumed neat after a meal or served with coffee. It should always be served chilled. 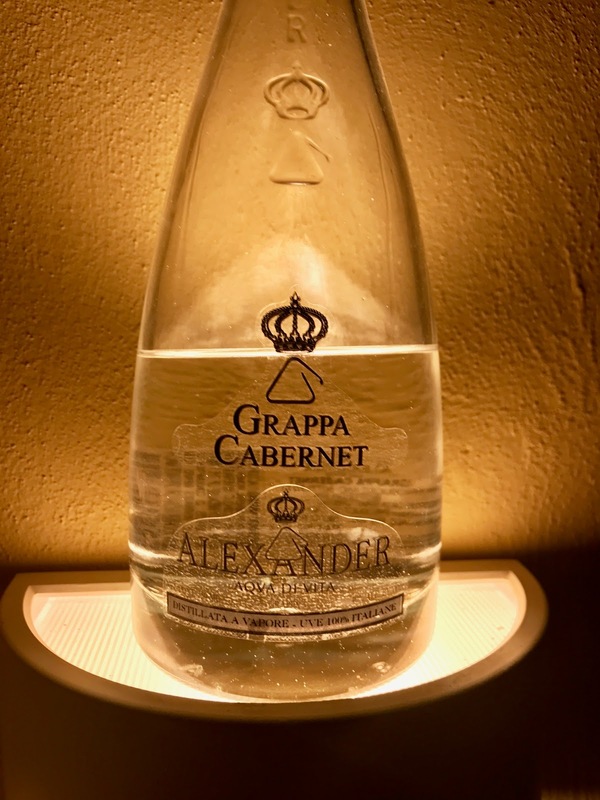 Young, clear Grappa should be served around 50 degrees Fahrenheit while aged Grappa which typically has an amber or golden color should be served a bit warmer at 62 degrees Fahrenheit. The cocktails we were served were made with a young Cabernet Grappa. Young Grappa is clear, it has been aged for less than a year and does not spend any time in oak barrels. It should have a very clean aroma with hints of the floral and fruit notes that are displayed in the type of grapes from which it is made. In addition to the cocktails that we enjoyed, the bartender shared that Grappa also makes an easy replacement for the Vodka in a Moscow Mule and the Rum in a Mojito. 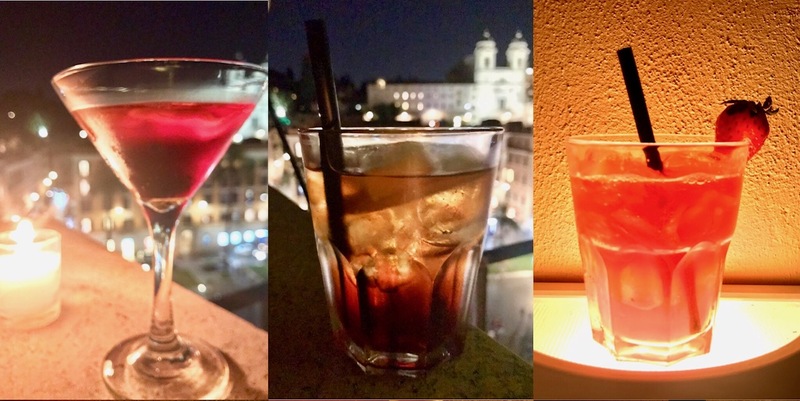 Its versatility in cocktails is just beginning to be explored. R&G Panoramic View - One shot of Grappa mixed with a splash each of cherry brandy and Aperol shaken and poured into a martini glass and then topped with Prosecco and garnished with an orange slice. 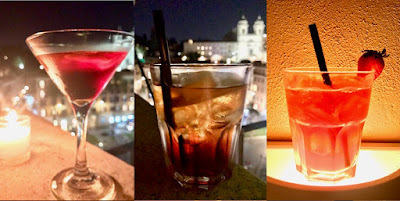 Angel by Night - Equal parts Grappa, Martini Red, and Campari shaken and poured into a lowball glass followed with a splash of soda and and garnished with a lemon slice. Strawberry "Inn" Grappa Sour - Two shots of young, clear Grappa with one shot of lemon juice and a splash of strawberry syrup shaken and poured over ice into a lowball glass with a fresh strawberry garnish. After partaking of the cocktails and a dinner buffet, attendees had the opportunity to try several aged Grappas to conclude the evening. 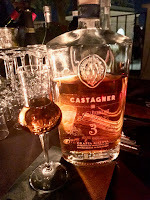 While each one had something to offer, my personal favorite in the line-up was the Castagner Grappa Riserva 3 Anni which was nicely rounded with pleasant notes of baking spice and vanilla served in a balloon shaped glass to properly release the delicate aromas, absolutely ethereal.